Please help our 12-year-old Burnsville Traveling Baseball team raise funds to attend a national invitational tournament in Cooperstown, New York, this summer. They will be representing Burnsville Traveling Baseball and Minnesota out of a total of 104 teams from throughout the United States of America and Canada. These 12-year-olds, traveling baseball players in the Burnsville program, are preparing for an exciting, once-in-a-lifetime trip where they will learn about the game’s heritage and meet players from all corners of the U.S. The players are raising the money necessary for team registration, team bunk house lodging and uniforms through a variety of fundraising events. 22 lighted enclosed baseball stadiums, 104 team clubhouses in a baseball village on 150 acres. Once in a lifetime opportunity!! They will take on teams from across the country, playing on the hallowed grounds of baseball’s birthplace! 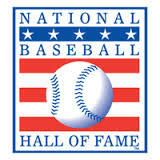 Baseball lovers know that Cooperstown is the location of the National Baseball Hall of Fame and Museum. They are planning on making this season an "UNFORGETTABLE" experience to be a part of Cooperstown Dreams Park! Each team is guaranteed 8 games in the town where baseball began ... the place in history with baseball's greats. At no other time in the history of youth baseball has there ever been a place like Cooperstown Dreams Park, with its unique baseball atmosphere ... where baseball present meets the traditional values of baseball past. Tournament for 7 days of cultural exchange and life enrichment where our players become heroes. Definitely an experience of a lifetime ... thank you for your support. Go ahead – help make a girl/boy’s dream come true. Cooperstown Dreams Park offers an unforgettable experience … one they’ll always remember.